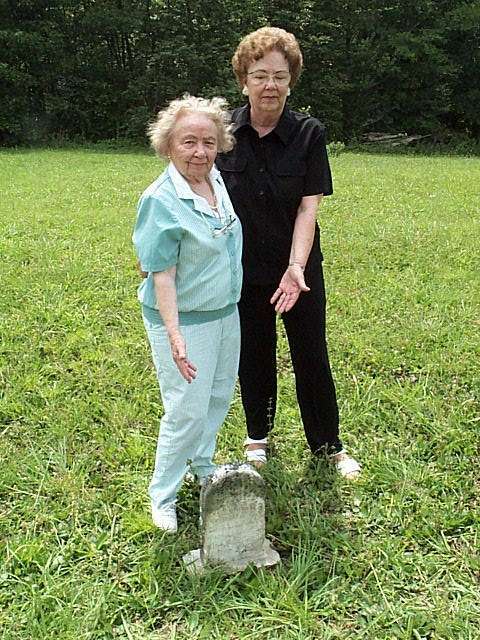 Here is the graves of Vida Lee Shroat Campbell's mother and little sister. 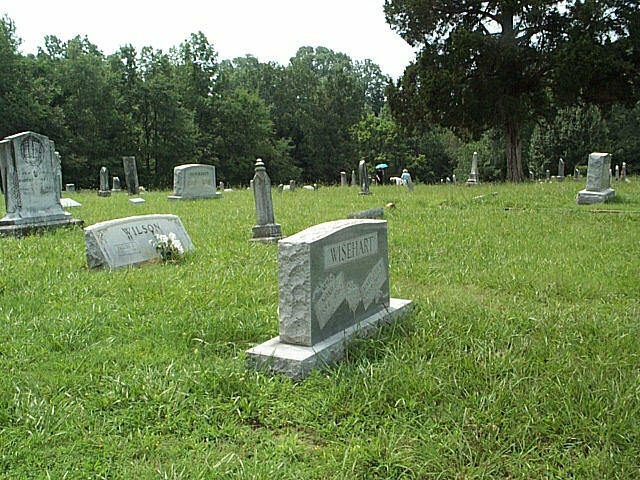 Both died as a result of childbirth when Vida was 3 years old. 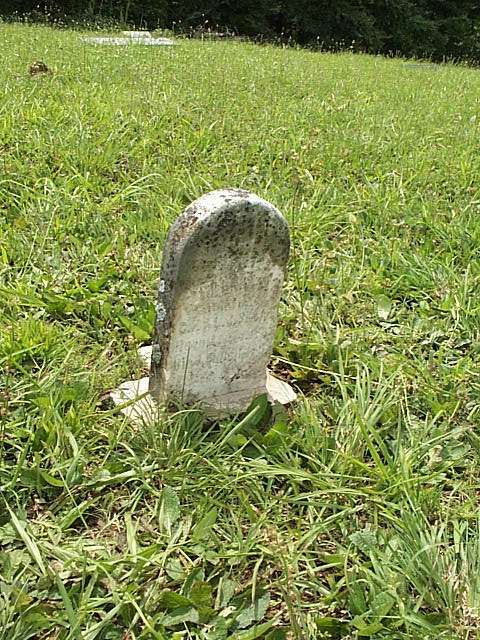 Only the baby's gravestone was found at this time. 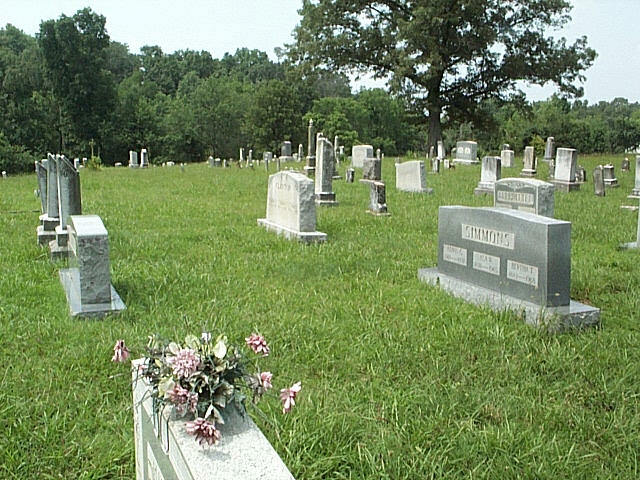 who died soon after birth. 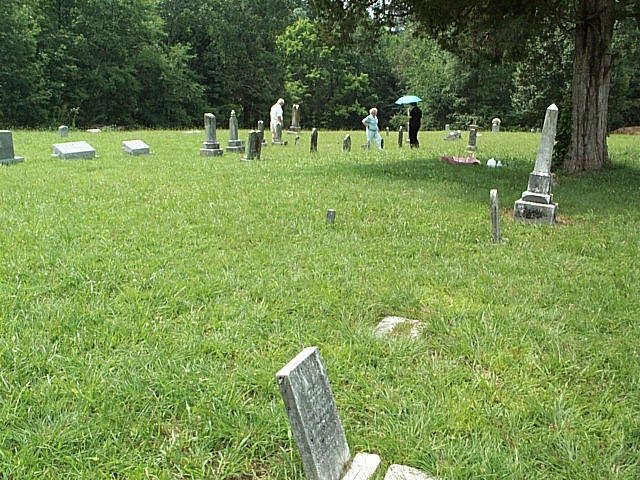 Two views to give a perspective of the approximate locations of the two graves. 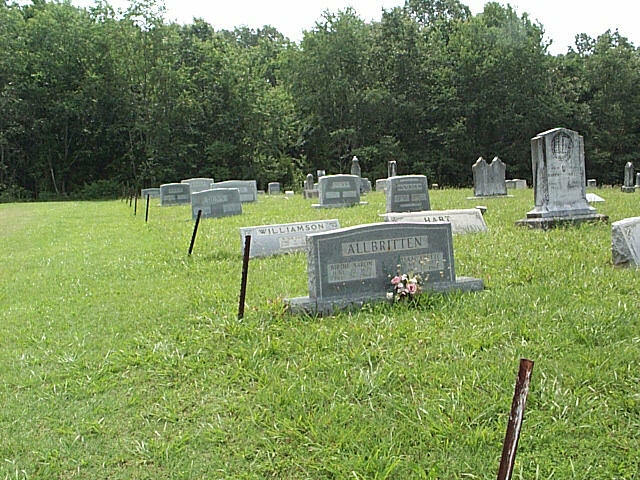 The graves are very difficult to find. 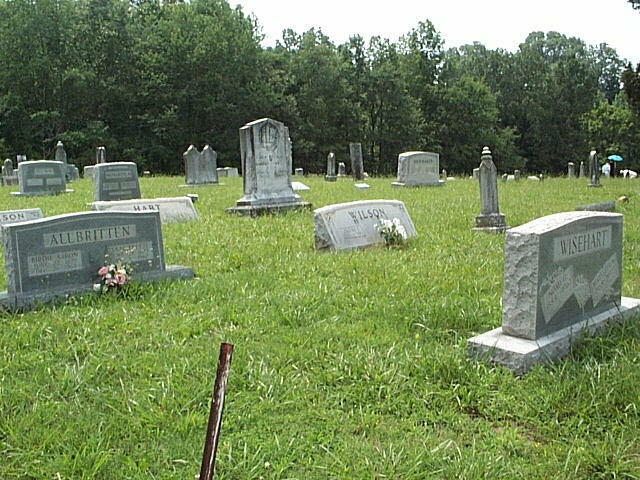 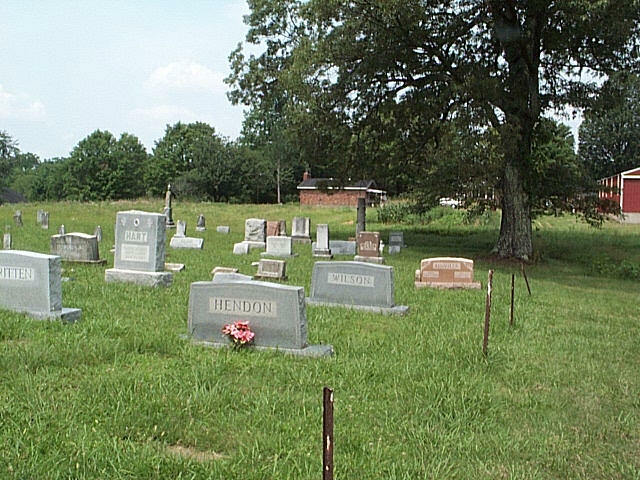 Below is a series of 6 photos of the New Providence cemetery, panning from left to right, standing at the edge of the grave yard. 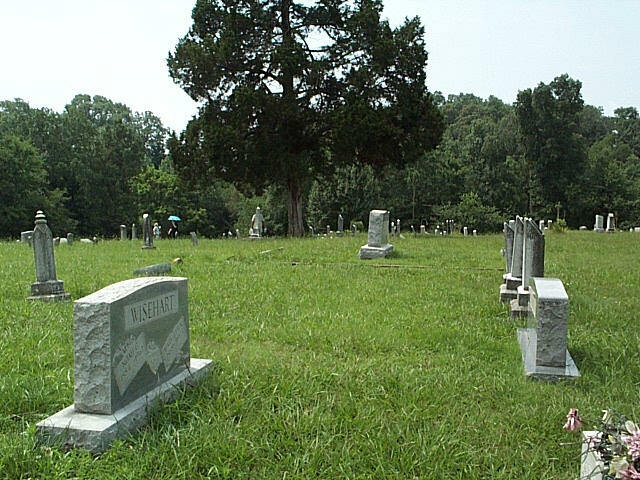 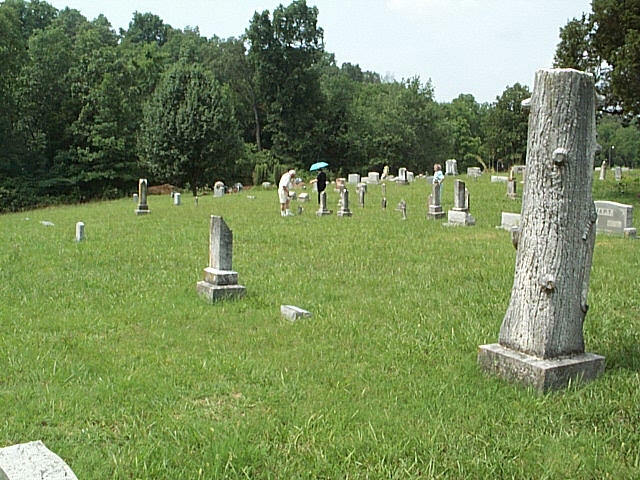 Notice the blue umbrella in the distance as the approximate location of the graves.